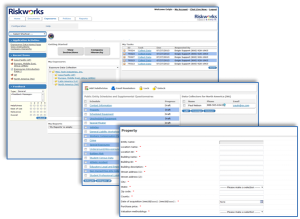 rm.Exposures is a centralized data management software that assists risk managers administer, track, and automate the exposure data and insurance values collection process. rm.Exposures focuses on validating exposure data and values information prior to an insurance renewal and assists in the collecting, tracking and analyzing risk schedules to ensure the data is accurate, complete and cost-efficient. Over 50 configurable Exposure Data Schedules and Risk Questionnaires – Property, Vehicles, Payroll, Cyber Security, Aviation, Marine Cargo, Business Interruption, etc.